Reviewing your title report is often the most confusing part of the home buying process. Here's what you need to know as a buyer. One of the most important and least discussed aspects of a home buying transaction is the Title Review process. There isn’t a lot of information out there, so we are going to try to fill the gap. The real expert on title is always the title rep. After all, they are responsible for ensuring the property for title insurance. However, knowledge is power, so here are some key points to understand. First: What is the title report? The title report contains all of the legal information that you need to know about the property you are buying. Not the house: the property. This report is typically emailed to the buyer within the first couple of days of the homebuyer transaction. This is a crucial MUST REVIEW for every home buyer! The title report shows everything that has ever been recorded against the property. In Washington State, the Title Company is tasked with pulling and researching the title on the property. They verify any liens on the property, any known boundary issues, easements, encroachments, etc. They generate the report and send it to the listing broker in preparation for the sale. They also research the title to check if there are any issues with providing the buyer a clean and clear title, like unpaid liens, probate issues or judgements against the property. Where Do You Get the Title Report? The seller’s real estate agent contacts their favorite Title Company and has them pull the title report. In some states, they have lawyers review the title report and clear the report for the sale. On the West Coast we have Title Companies that are licensed to do this work. They pull the title from the county records, review to see if there are any liens (someone owes money on the property, such as a mortgage or a contractor), confirms who the rightful owners are, and looks into other items that may impact the sale of the property. Typically, the Divas and Diva Dudes send you an email that says you have FIVE days to review the title report on your home. This is the standard timeline to review the title report and resolve any outstanding issues in the report. The majority of buyers just glaze over while reading the report and do not dive deep into the contents. And 99% of the time nothing comes up in the report that is a huge concern. But it’s the 1% of the time that is critical that you, the buyer, know what you are actually buying. 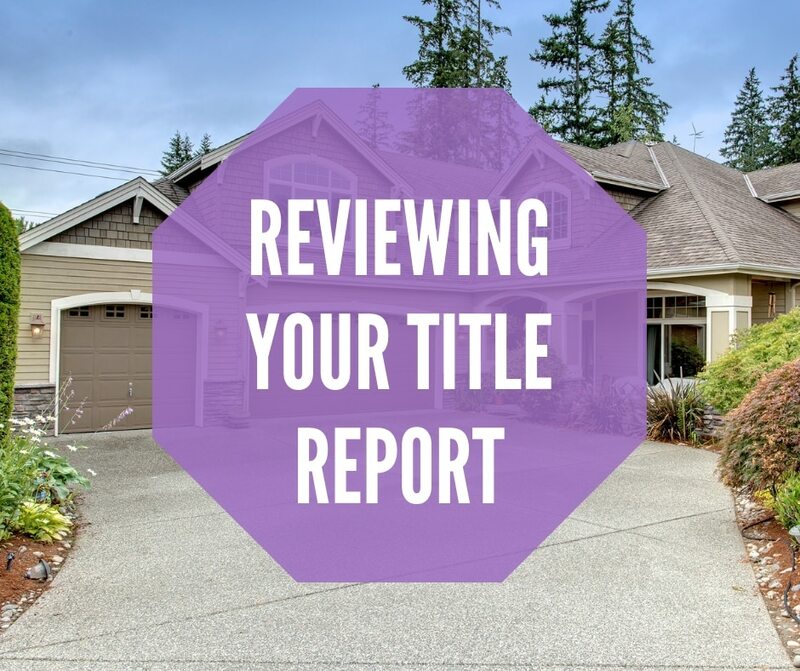 If you have questions, your Team Diva agent is well-versed in the basics of title reports, but the true Title Guru is the title representative. It is important that you get all of your questions answered within the 5-day review timeline the contract gives you. Now, to get more into the nitty gritty. What is the Title Insurance? Title insurance protects your vested interest in the property. For instance, the former owner was in a not-so-nice divorce, but never resolved ownership of the home. They sold the home without their former spouse’s sign off. Well, guess what? They still have ownership rights in the property. Just in case, the title insurance will help if the former owner comes back to claim rights to the property. Part of the Title report also includes the Title Insurance commitment. Here is a link to Rainier Title’s Owner’s Policy and what it covers. Does the Title Report Include a Survey Showing the Land Boundary Lines? Unfortunately, a majority of Seattle’s fences and yards all crisscross each other. 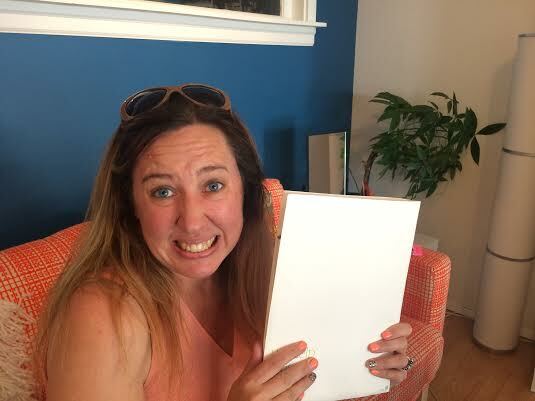 Culturally, we don’t live in a city where doing a survey is part of the home buying process. BUT you as as the buyer can hire a separate company to do a boundary survey. It typically does cost about $1,500 – $3,000. Occasionally there are fence line issues that come up between neighbors. In those instances, a survey MIGHT be filed with the title report. ALTA Title Insurance – This is the Homeowners Title Policy (not to be confused with homeowners insurance) that typically goes with the home as part of your title insurance. The title report will have a detailed page stating how much they are insuring the value of your home from a title perspective. Liens – Is there something on the report that should not be there. For instance does an old contractor have an unresolved lien on the home for work completed to the property? Easements – An easements means that someone has access to your property for a certain type of usage. A common easement we see often in the city is a shared driveway, where the neighbor has easement rights to use your home’s property to access their garage. Other common easements are for the public utilities to bring power to your home. They have the right to inspect that power and put a meter on your home for the gift of electricity. Uncommon easements would be your back neighbor has access to the back half of your property and you can never do anything to the home. Another odd one we have experienced is when the city sewer line runs the whole length of your property and thus, possibly impacting your ability to make certain changes to the house or yard. Encroachments – Typically this means the neighbors fence or shed might be partially on your property. Often this has no impact on your enjoyment of the property and is minor. If it is major, some title companies might want to insure around this encroachment. CC&Rs – More typical in a Townhome or a Condo. Or if you are out in the burbs, the CC&Rs are the rules and regulations for a PUD (planned unit development). They tell you what you can and cannot do to the property or house. Like no, sorry, you can’t paint your home lime green or add a chain link fence to the yard. Joint Maintenance Agreements – Also mostly found on townhouse. A good townhome community will have a ton of rules about how to maintain the building. Some examples would be what you can do and not do to the shared walls. As a homeowner you can work with the other owners to beef up these rules if the community you are buying into has pretty light rules. Judgements – Does the seller owe a bunch of money as a result of a court case? That has to be paid BEFORE or as part of the sale before the home can transfer to you as the buyer. This is usually flagged right up front since this may impact the sellers ability to close on the sale of the home. Name Searches – The Divas have very unique names. But not everyone is so lucky. The Title and Escrow company research names to make sure everyone listed are the REAL buyers and sellers for the property. Generally the title review is the most boring part of the home purchase and sale. But when an issue comes up, stuff gets weird. Here are a couple of items that have come up that we have had to race to resolve in order to close a deal or two! Unpaid Taxes and Unknown Sellers: Mom died over ten years ago and left the property to her children. The children never took the home through probate to confirm ownership. They also kept paying the “senior discounted” property taxes for the last decade. Not only did they have a massive tax bill (also known as a lien) on the property, but also they had missing siblings on the property. Oh and guess what? No one knows where these siblings are. Time to bring in a lawyer. Sellers had to pay for probate and a huge chunk of those missed taxes before closing. Missing Driveway: Dad (Mr. Seller) builds a massive shop with a small living nook in the backyard. Dad decides to sell the property. But first he subdivided the property. The new driveway for the back property he created…on city park land. No one knew about this until it was time to sell. So now Dad now has to get permission from the city to allow a driveway on city park property. We were successful, but this help up closing for a month. The Main City Sewer Line Runs Through the Whole Property: We received the title report and there were various easements on the report for something. But the easements were before the home was built. It was super vague and it wasn’t until we did the sewer scope that we figured it all out. The sewer scope showed that the main city sewer line cut up the driveway passed the house by two feet and out the backyard. Basically the sewer line prevented anyone from using the property to its best and full use. Yikes! The Gays and Title Report Issues You Might Not Know About: Remember when you bought that awesome condo on Capitol Hill? And then you became domestic partners with your former lover who lived with you in the home. Now the two of you are broken up, but did not dissolve your domestic partnership. Well, guess what? As of June 2014 you are legally married to your Ex and that person has right to your property. Washington State is a common law state when it comes to married folks and their property. In this situation it is best to get a Title rep on the phone and talk through the situation and how to best get it resolved. Like we said, 99% of title issues are found upfront and easily resolved during the sale or before the home is even listed. But for that crazy weird 1%, we Divas strongly suggest that you take the time to review the title report on your home and call your Title Representative to ask questions. We never want something minor to fall through the cracks and prevent you from enjoying your home and your land to the fullest of your ability!